Glenn O&apos;Brien is a living legend. Yes, that term gets thrown around loosely, but as a man who&apos;s single-handedly contributed a good chunk of New York City culture, it&apos;s a title that&apos;s almost an understatement. 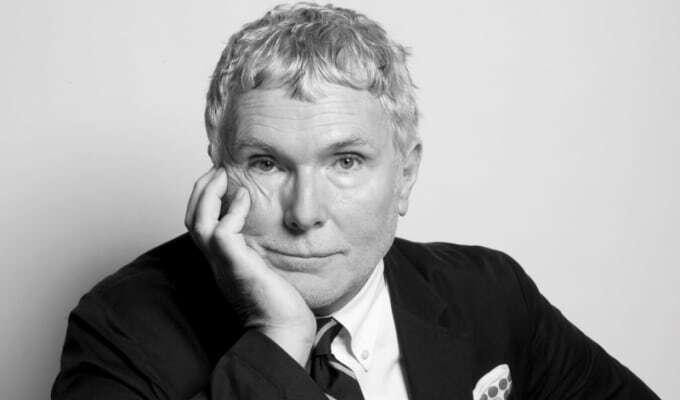 Besides his days working at Andy Warhol&apos;s Interview magazine and paling around with Jean-Michel Basquiat, O&apos;Brien also served as the host of cult classic program Glenn O&apos;Brien&apos;s TV Party, whose guest roster was as eclectic as Debbie Harry, Iggy Pop, and Fab Five Freddy. 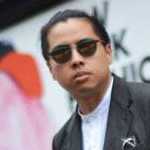 These days, the prolific writer and polymath is best known as GQ magazine&apos;s resident Style Guy, but he also stays incredibly busy with other projects. Like writing Brad Pitt&apos;s script for his often parodied Chanel N°5 commercial. The folks from Dove Men+Care gave us the chance to rap with Glenn O&apos;Brien shortly after the GRAMMYs to talk about the state of celebrity style, Kanye West&apos;s new adidas collaboration, and how to have cool hair. What are your big takeaways from the results of the GRAMMYs? I don&apos;t know, it&apos;s just like a marathon. It&apos;s hard to sit through. What did you think of Kanye West&apos;s performance with Paul McCartney? Paul McCartney is like the great diplomat, healer you know, and I don’t know he’s just so nice. I’m a big Paul McCartney fan. I met him once and he was so nice, and he was one of the nicest people I&apos;ve ever met. But I don’t know, I think collaboration is always interesting, it usually brings out something you haven’t really seen before. You&apos;re no stranger to collaboration yourself. You&apos;ve worked with very iconic people in their own right. The notion of collaboration, I think, is very overused. How would you define a collaboration as authentic as opposed to just a marketing technique? It’s funny because I think there’s more collaboration going on now than in music in anytime, in years. Its sort of kind of in the nature hip-hop, and sort of spread through the whole musical culture. I think The Roots are the perfect example of the incredible collaborations that they’ve done. They all sound like one artist, because they have such integrity. I think my favorite record last year was the Elvis Costello and The Roots album, it was just mind- blowingly great. And they can very much transition from The Tonight Show to playing with Ed Sheeran and ELO. And Betty Wright yeah, I don’t know if you know about that record but that was just amazing. The woman who&apos;s got to be almost seventy now, the album with her was just mind blowing. I’m for it. And the Beyoncé record is such a collaboration. That guy Boots, he&apos;s amazing. I&apos;m all for it. Celebrity style is polarizing, but I feel like as of late the men have brought their A-game more so than usual. I notice it with the Oscars because you noticed many more guys wearing kind of a traditional tux, with a tie with the whole kit. So yeah that&apos;s definitely something we haven’t seen in 10 or 15 years. I think guys feel like they can take more risks and care more about dressing themselves in a way that they couldn&apos;t 10 years ago. Also doing creative black tie isn’t creative anymore, I think Russell Crowe killed it off. Is there a specific moment you remember? It was an Oscars. I can’t remember it was a long time ago, but he wore like a military medal instead of a tie. He looked really absurd. The only difference as far as the GRAMMYs go is you used to see less ties, but it was also pretty dressed up. I thought Pharrell looked the best actually, and since it&apos;s L.A. I guess you can et away with the short suit. I think he and Nick Wooster are probably the only two men who can own that look. Well, and Thom Browne. Yeah, let&apos;s not forget Thom. There were a lot of great hairstyles at the GRAMMY​s. Is it acceptable to roll up to a red carpet look with this messy-looking hair? Only like if that’s sort of your thing. There are people where messy hair is what they do. Somebody like Russell Brand kind of based his whole persona on messy hair, so I guess you just have to be consistently messy or find a way to make it effective, so it doesn’t accidently get normal looking. What about something like the side part? Do you think that&apos;s going to stay around for a while? I think so, yeah. I guess people might say it’s the Mad Men look, but I think there&apos;s only so many ways to look scruffy. It sort of doesn’t look that original, but I think if you’re a good looking guy to begin with, you can totally pull off a smooth, well-groomed look and nobody’s going to think you’re a square. How did you feel about Pharrell&apos;s Chanel look, the bellboy vibe? It was cool. My favorite was always the Outkast look—those guys always look amazing. I was kind of surprised Kanye didn&apos;t seem to be wearing a shirt. And his wife wore a bathrobe. Who do you think had the deeper plunge line between them? He was definitely wearing the plunge last night. Do you think that he-vage will stick around? Is there a trick to pull that look off? 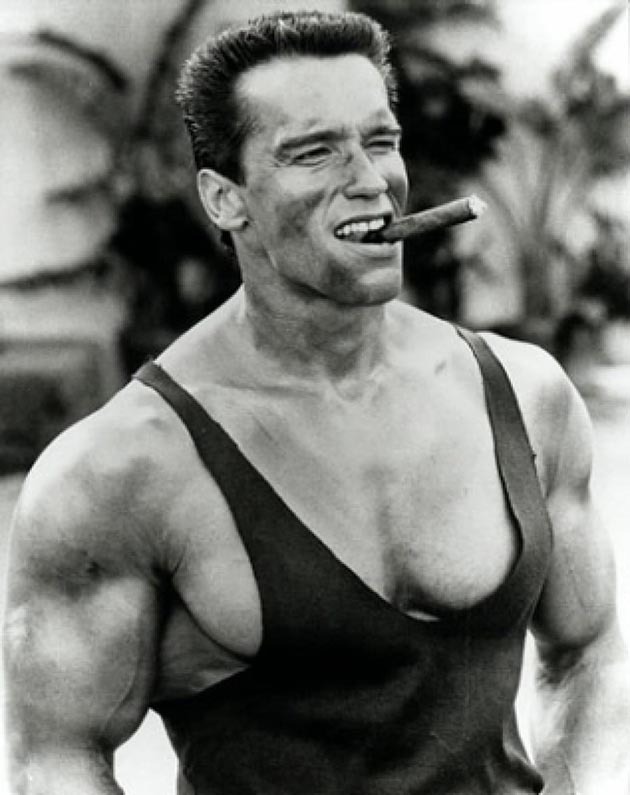 I think it would be to top Arnold Schwarzenegger, I think our best he-vage years are behind us, hopefully. I think Pharrell is definitely a guy who has his own style, but isn&apos;t necessarily a fashion guy, whereas Kanye, in particular, is 100 percent a fashion guy and that just bleeds into his style. As "The Style Guy," what do you make of the intersection between men becoming more conscious of fashion and adjusting how they dress themselves to that particular paradigm? I think the difference between somebody like Kanye and somebody like Pharrell is Pharrell has sort of like his own style he sticks with, and Kanye is more of a fashion consumer. He’s a guy who actually goes and sits in fashion shows, so it’s a bit of a different thing, I think. It’s more like he’s out there trying to pick and choose from among all these things and I guess insinuate himself with that community. What do you think of Pharrell&apos;s numerous collaborations with the likes of adidas, Uniqlo, and G-STAR? I love his stuff. 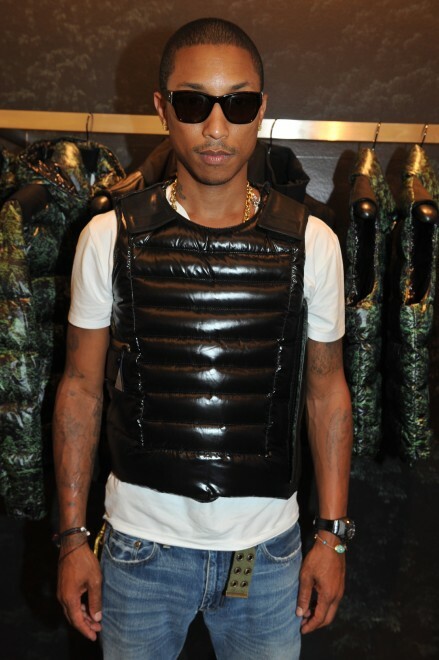 Remember when Pharrell did the collaboration with Moncler? I thought that was brilliant. Yeah! The bulletproof vest was awesome. To me, Pharrell is a great collaborator because he has a guru vibe. He just wants to bring out the best in everybody he works with. Yeah, and he’s not pushing his own thing on other people. Do you think the Internet has sort of ruined the underground, street subcultures by making it more accessible? Nothing is secret anymore. I think that was sort of inevitable with the Internet, and there is no way around it unless you&apos;re like a secret society or something, or the Illuminati. I think one thing it means is you really can’t judge people based on their appearance anymore because in the end... When I was a kid, if you had a tattoo it meant that you probably actually had been to jail or was in the Navy for a long time. But now it doesn’t mean anything. You see people that look really gnarly and they&apos;re just like everybody else. I think it&apos;s sort of... People want to stand out in a corporate conformist culture, so the standards have changed. That&apos;s exactly the same point you made when you wrote about the death of the dress code in 2013. How has the idea of what "dressing up for work" evolved in 2015? The guy in the suit is the guy that came to fix the copy machine. It used to be an indicator of success, but now the CEO can dress like Mark Zuckerberg. I think its funny because I think a lot of people saw that as like the workplace is becoming more egalitarian and classless. But to me, it always seemed like rich people wearing $1,000 jeans are hiding. They want to wear something that if you&apos;re in the know, you know its expensive, but anybody else just thinks it&apos;s regular clothes. Yeah, the whole notion of stealth wealth. Disguises for billionaires. But we don’t see that on red carpet. Right, then you see Kanye wearing Haider Ackermann sweat suits that are probably $3,000. Speaking of guys like Kanye, he seems like the kind of guest that would be good for TV Party. If you had that similar platform today, who would your ideal guests be? We actually shot a few, but I don’t know what’s going to happen with it. I don’t know, it&apos;s kind of the same thing, I wanted to mix up the art world and the music world, and have encounters between people who might not meet otherwise. We had Debbie Harry, David Blaine, Sandra Bernhard, an African singer. We kind of really just mixed it up. James Chance. We’re kind of on the verge of whether we’re going to do something or not. It would be a lot different from TV Party, the world has changed. It would be maybe more of like a party though. In the original show, we weren’t allowed to have drinks, so that limited the party options and it was really in a small place. We did a few in nightclubs, and those were more of like a party, but the idea was always trying to imitate Hugh Hefner’s show from the &apos;60s, which was very black tie and TV Party totally wasn’t. But it was always the kind of party that you wanted to go to if you couldn’t get invited. You&apos;ve been on KNOW-WAVE Radio a few times, and I think they&apos;re carrying that torch, in a way. Do you agree? Absolutely, yeah. They asked me if I wanted to do a show and I’ve been thinking of it, but I have to wait for a few months until I’m less busy. Where do you think media is today where sites are bringing niches to everyone else? Where do you think the digital realm is heading? I think it’s going to be a bigger change than maybe I even thought. It seems like the traditional media companies are unable to deal with it. I don’t really see anybody making an interesting transition to digital. But it’s the people who are doing it themselves that who seem to be doing something interesting and authentic that you might be captivated by.